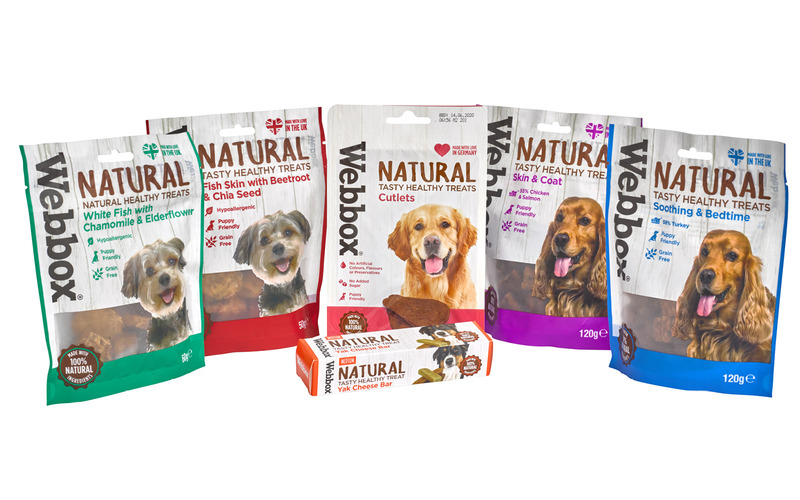 Pet food brand, Webbox, has announced an extension to its Webbox Natural offering, with a collection of healthy treats, which launched in Morrisons on the 21st January. The new additions include; natural cutlets, skin & coat treats, soothing & bedtime treats, white fish treats, red fish treats and yak cheese bars – offering something to tickle the tastebuds of every pooch! The skin and coat treats contain salmon, making them rich in omegas 3 and 6, supporting skin cell development, while added linseed keeps skin hydrated and prevents dry and flaky skin. Yak cheese bars are naturally low in fat, rich in calcium for strong teeth and bones and even reduce plaque and tartar. All Webbox Natural products are derived from 100 per cent natural ingredients, featuring no artificial colours, flavours or preservatives and are suitable for dogs of all breeds and sizes. Mark Pattison, head of grocery retail sales at Pets Choice, comments: “As consumers have become increasingly interested in their pet’s diets, Webbox Natural has gone from strength to strength. The Webbox Natural brand has seen a 70 per cent year-on-year sales increase. This growth has been supported by an advertising campaign including a popular TV advert, alongside print and digital ads and a social campaign.